Do you need new tires for your Mercedes-Benz? Mercedes-Benz Brampton offers the Lowest Price Tire Guarantee: just bring us the best deal you could find – either online or in a retail store – and we’ll match it! 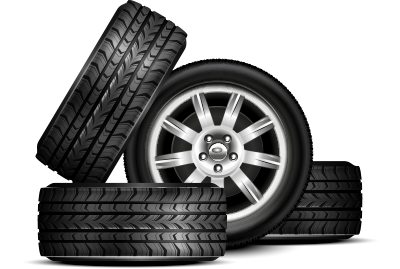 We carry all major brands of tires, including Goodyear, Michelin, Dunlop, BFGoodrich, Bridgestone, Pirelli and Continental. In a hurry? We’ll install your tires the same day! With two Mercedes-Benz Certified technicians working at once in one of Canada’s most efficient Service Centres, we can usually find room for an extra last-minute appointment. Just call 1 (888) 311-6676 as early as possible to reserve one of the available spots. You think you’ve found the best price? Book your appointment at 1 (888) 311-6676 or fill out the form below and we’ll Match It! We will beat the installation price of any Mercedes-Benz Certified competitor by 25%. * Restrictions apply. See your Service Advisor for additional details. Available for dealer-installed identical in-stock tires that meet vehicle specifications. Customer must present a printed lower-priced pre-tax price quote dated within 30 days of purchase. Offer may not be combined with any other offer, including rebates, clearance, closeout or special prices. Mercedes-Benz Brampton has the right to modify or cancel this offer at any time.